(horsepower) is required to shred the drive. 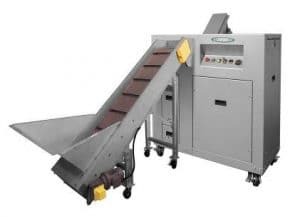 In order to handle the cutting load and high volumes these types of shredders produce, 3 phase power is utilized to operate the larger motors required. The most common 3-PHASE power requirements are at 208, 230, 380, 415 or 460V. Always double check your incoming 3 phase requirement with a facility manager at site in advance. 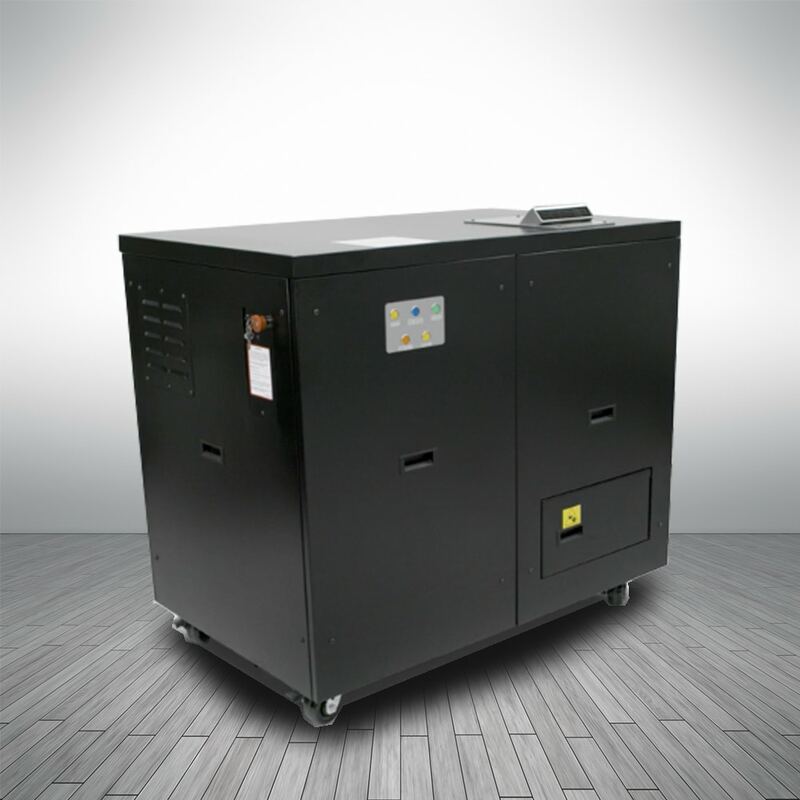 These industrial units are not your standard office paper shredder which operates on single phase voltage. Output and performance of your Hard Drive Shredder is dependent on two main factors: drive thickness, and proper power available for operation. Most Hard Drive Shredders are limited to Hard Drives/Devices up to 1.65” thick. The thicker the drive, the more power is required to shred it. Hard Drive Shredders are equipped with an AUTO-Reverse feature, which effectively reverses the shredding process if the system reads the drive is going to jam. Amperage increases as the load increases, and if there is insufficient power to shred the drive then the system will automatically reverse. If standard Hard Drives within the designated size limitations are continually reversing your system, it is likely there is insufficient power available to operate your shredder. Most systems are generally limited to a maximum voltage drop of 3% while under load. If larger voltage drops are being realized, additional ancillary electrical equipment may be required. The most common solution to consider would be to add a Buck-Boost Transformer in order to BOOST the incoming electrical amperage. This is often an easy fix that any qualified electrician can provide. Their use should be considered where supply line voltage is found to be consistently below, and in some cases above, desired nominal values of load voltage. When considering a Hard Drive Shredder: Particle Size, and Volume are both important factors to consider, but ensuring that proper power is available for the required 3 phase voltage will have the greatest effect on performance. Manuals can easily be reviewed in advance for detailed operational guidelines, and if questions, contact an SEM industry expert for assistance.